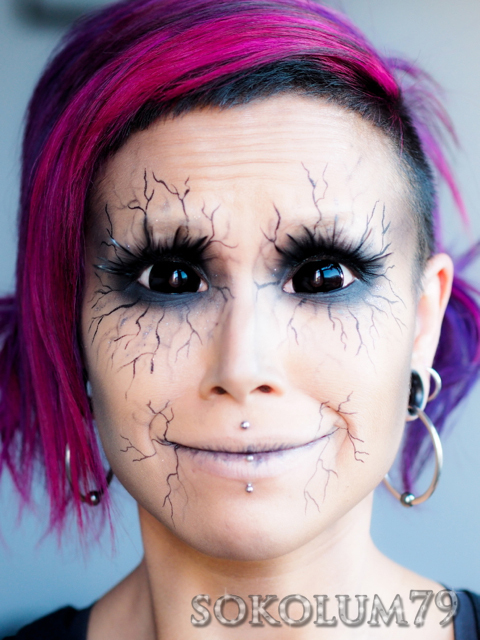 I was so excited when I received my black sclera lenses from Samhain Contact Lenses that I had create a makeup look the next day! 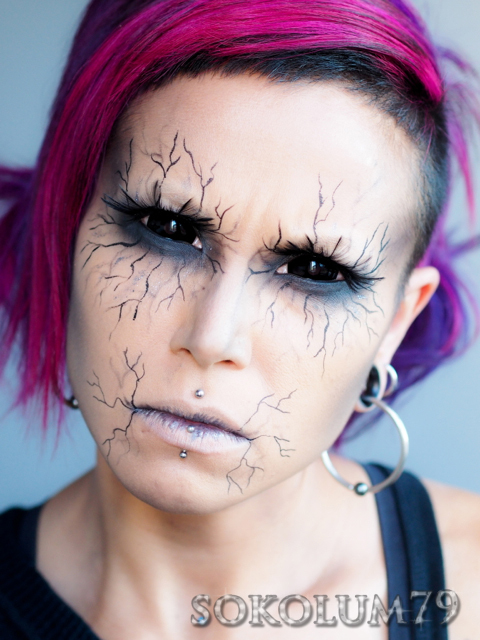 I also recorded a sclera lens overview the same day...so proud! I have been itching to create a creative/extreme look for a few weeks now so when I received the lenses I was totally inspired to create a speed tutorial. If a look isn't too technical, then I prefer speed tutorials because I can apply the makeup quickly and just wing it. I received the custom sclera lenses this past weekend and I had to give them a go right away. I am a seasoned lens wearer so popping them in wasn't much of an issue for me, just a little more awkward than a regular lens. Removing them is actually easier to remove than a regular soft lens. 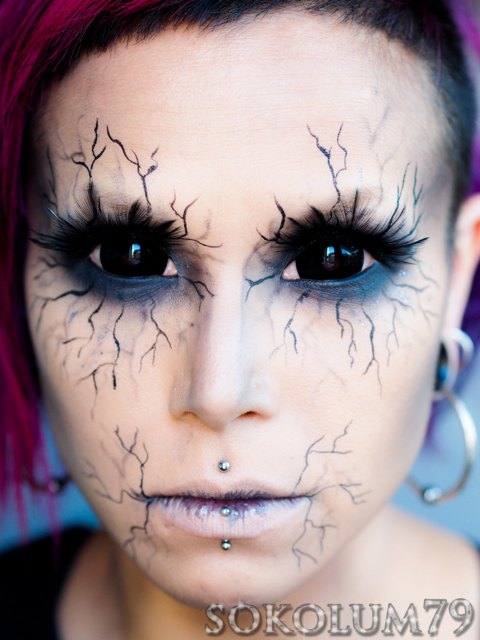 I have inserted my sclera lens overview at the bottom of this post. I used some Stilazzi, some Obsessive Compulsive Cosmetics, a little Sugarpill and even a little......GLITTER! Lots of Lashes and Shxt!